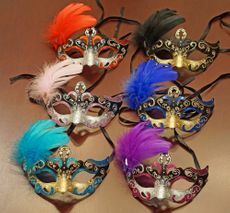 Skylar Masquerade masks are hand painted and glittered. Masks are made of a non bendable and durable PVC and come with black ribbon ties. 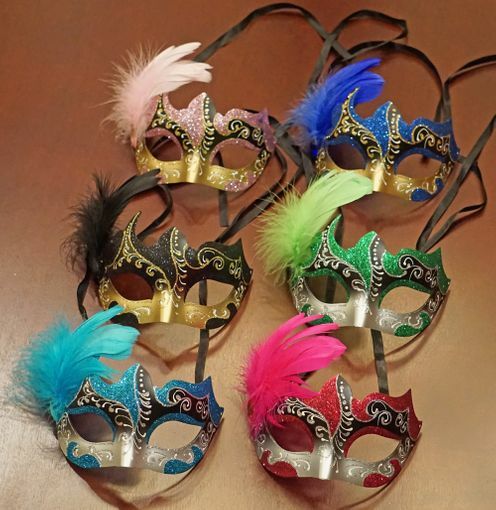 Skylar masquerade masks come in six different colors.